TORONTO -- Hundreds of thousands of cash-handling machines across the country have had to be upgraded to handle Canada's distinctive new $10 bill, featuring a vertical portrait of Nova Scotia civil rights advocate Viola Desmond, while some others still awaiting changes are rejecting the distinctive banknotes. Spencer Baxter, owner of Value Vending Services in Nova Scotia, said his 125 devices simply won't accept the new bills. Upgrading them all, which he has yet to get a chance to do, costs about $10 each excluding driving and labour time to get to the machines at various locations. "It's time and money," Baxter said from Halifax. "Each time they change them, we need to upgrade." "With about half a million cash-handling machines of various types in use across Canada, it stands to reason that they won't all accept this note from the day it begins to circulate," said Rebecca Spence, a spokeswoman for the Bank of Canada. 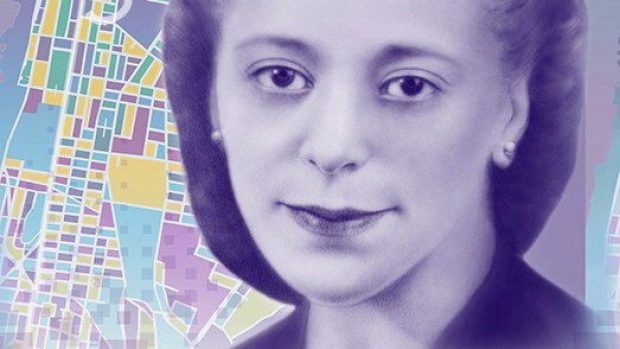 "In that case, the bank's advice is: If a $10 note featuring Viola Desmond is not accepted by a cash-handling machine, try using the previous regular circulating note instead." Metrolinx, the Toronto area's regional transit agency, said it knew the new bills would be an issue for its Presto and other machines used for purchasing rides on buses, subways and commuter trains. "The beautiful $10 bill is vertical in its image, which has thrown off vending machines," she said. "We have to make sure they're all updated. It's not a huge deal. It's just a matter of getting to them." The Bank of Canada said it had been working with financial institutions and equipment manufacturers to minimize the impact of the new $10 bill on the cash-handling industry. The note, the bank said, keeps the machine-readable features of Canada's other polymer notes and is printed on the same material. "People, like me, I got my first one and I'm keeping it," said Aikins. "By the time (the bill) gets broadly into circulation, the fix will be in." "There was new software required for our bill validators, as is expected with any coinage or bill change," Stegehuis said. "No problem with it at all."